Kayla Morse joined EdVestors in August 2017 as the Manager of Teaching and Learning for the Zeroing in on Math initiative. Kayla previously worked as an elementary school Inclusion Educator in Boston Public Schools for 5 years where she focused on providing a rigorous, data-driven and standards-based math education to all her students. She takes pride in changing the culture of math so that it is inclusive of all types of learners. Particularly, she is invested in ensuring that neurological research on socio-emotional learning and supporting students with trauma is reflected in how math is taught to vulnerable populations of students. Kayla has served as a Boston Public Schools’ math facilitator and teacher leader, facilitating professional learning opportunities for teacher colleagues. Selected as an EdVestors’ Math Teaching Fellow in 2016, she joined a cohort of front-line educators working to help design and inform strategies to advance math instruction in Boston. Kayla is a member of the Teacher Action Team through the Boston chapter of Educators for Excellence. She recently worked with a team of Boston teachers to create policy recommendations to support students with trauma titled, Schools that Heal, published May 2017. 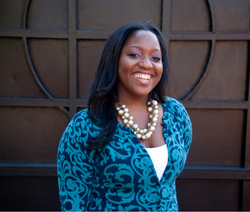 She was also featured in the Summer 2017 digital edition of Educational Leadership in the article, “Urban Classroom Practice Meets Education Policy.” Kayla is a native Floridian from the Greater Orlando area, a proud alumna of the University of Florida with a B.S in Family, Youth and Community Sciences, and a graduate of the Boston Teacher Residency Program with a master’s in Elementary Education.